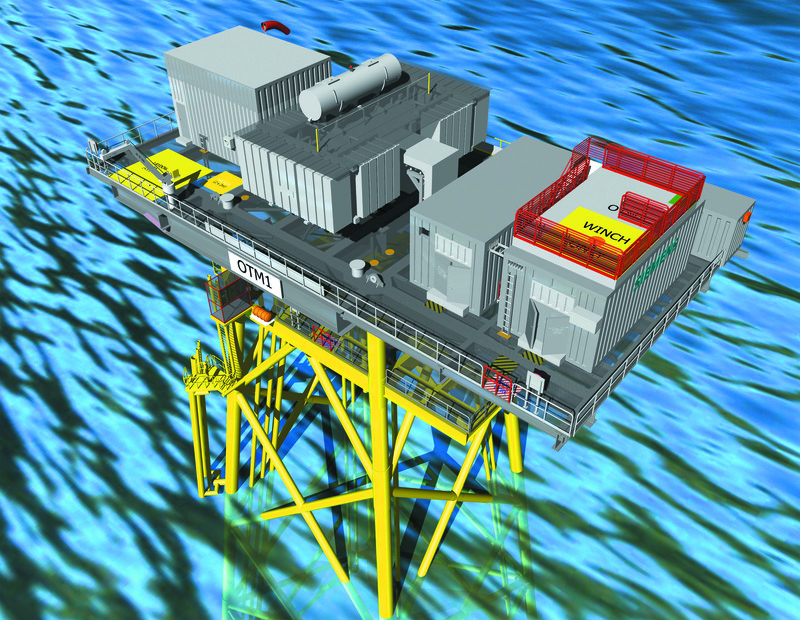 Babcock, from its facility in Rosyth, has been awarded a contract to construct two Offshore Transformer Modules (OTM™) destined for the Beatrice Offshore Windfarm Limited (BOWL) project in the Outer Moray Firth. Working with our client, Siemens – Transmission and Distribution, Babcock will develop and deliver the Offshore Transformer Modules during the first half of 2018. Sustaining at least 60 skilled jobs during the contract, the work will involve client and third party interface, Project and Quality managers, Engineering and Supply Chain managers, Designers, Fabricators, Manufacturing and Heavy Handling expertise. Drawing upon Babcock’s ability to manage complex projects from a location steeped in a heritage of engineering excellence, the multi-faceted project provides the UK’s leading engineering support services company with another significant opportunity to showcase how its innovative and specialised integrated engineering and manufacturing services deliver top quality results. Once complete, the transformers, each suitable for 300MW when connected into the grid system via an onshore substation, will take their place in the 131.5km² development site, around 13.5km off the Caithness coastline. Ian Donnelly, Babcock’s Managing Director, Energy and Marine Services, said: “We are delighted to be selected by Siemens for this important project in the Beatrice Offshore Windfarm Limited project. “With our extensive capability and capacity in integrated engineering and manufacture projects, our commitment to quality and our passion for excellence, we are the perfect choice for Siemens to work with to develop these critical components.